Plan A Capital actively supports its clients and partners in the development, financing and execution of power and infrastructure projects, and in the creation of deal flow in these sectors. Plan A Capital was established in 2014 by a team of executives who accomplished successful transactions for the investment division of a large integrated engineering firm and for independent power producers. They had fulfilled key leadership roles in the development, nonrecourse financing, execution and acquisition of projects in the infrastructure and power sectors, and in the establishment, funding and management of an investment fund. The main objective of Plan A Capital is to build on our team’s track record as sponsors of large projects. 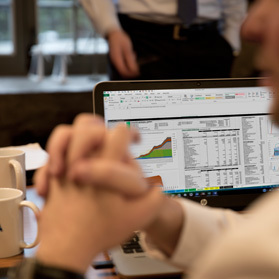 Plan A Capital brings a different and independent perspective to a limited number of clients and partners, either as an extension of their deal teams or in a focused financial advisory role. Our practice includes project financing, financial modeling, deal flow sourcing, project development and transactions. 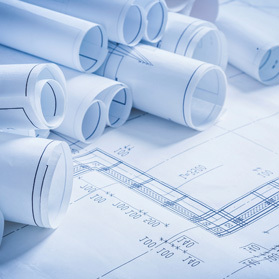 The focus of Plan A Capital aligns with our team’s track record by targeting projects with relatively predictable cash flows allowing to secure nonrecourse project financing. 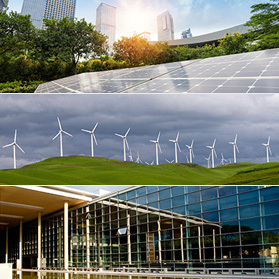 Selected commercial ventures: regulated electricity & gas, data centres, merchant generating facilities and facilities generating carbon credits. Our team has worked on projects located in most Canadian jurisdictions, in the United States, in Europe, in the Middle East and in Latin America, including Mexico, Chile and Peru. Plan A Capital was financial advisor to the sponsor of the landmark 230 MW Niagara Region Wind Farm, one of the largest financing consented to a windfarm in Canada. Six mandated lead arrangers and bookrunners provided a total of C$825 million, consisting of a construction loan that will convert into an 18-year amortizing loan and a letter of credit facility. A portion of C$252 million of the facilities is covered by a guarantee offered to the lenders by the Federal Republic of Germany through its Export Credit Agency Euler-Hermes. The project reached financial close in the fourth quarter of 2016 and was announced through a press release on November 2nd, 2016. Please contact Plan A Capital directly for non-confidential information relating to current and past mandates. Plan A Capital combines individual expertise in the development, investment, acquisition, CAPEX estimation, financial assessment, financing, construction and management of infrastructure and power projects. Our team members have created significant value and are recognized as such thanks to the central role they played in projects ranging from ten million to one billion plus deals. Regardless of project size, we particularly understand the risks, transactional sequence and drivers of success from early stage development to operations. Please refer to the Services section for more details. The creativity of Plan A Capital stems from our team’s transactional experience, open-mindedness and unbiased independent approach. Given the maturity of the power generation and infrastructure sectors, creativity is sometimes necessary and always desirable. 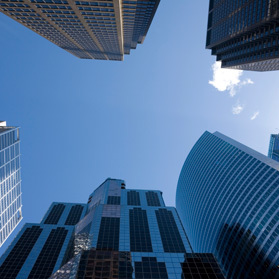 As a result, our team has structured projects featuring joint-ventures, limited partnerships, general partnerships, export financing, investment fund entities, mezzanine financing, capital leases, rated bonds, and hybrid financing. This demonstrated diversity has played a key role to win tenders, mitigate risks, reduce the impact of taxes and enhance profitability. The track record of Plan A Capital and our team, from leading early stage development to financing and executing projects, constitutes the basis of our integrated approach. While the focus of typical financial advisors is often limited, Plan A Capital can support a project at t 0, while suggesting corrective actions for deficient decisions taken at t-1 and optimising current decisions affecting t+1. The benefits of understanding relationships between development, project financing and execution are numerous, including better risk mitigation, optimised operations, increased supplier competition, better negotiating leverage and favourable financing terms. Perform sophisticated analysis (including Monte Carlo) to facilitate decision-making process and risk analysis. Negotiate terms sheets for procurement, construction, operation & maintenance and financing. Review scope change orders and claims, including their basis of estimation and financial impacts. Vice-President and founding partner of Plan A Capital, David is an experienced investment professional cumulating more than a decade of transactional and advisory track record applied to infrastructure projects, including P3s (social, transportation) and power projects (conventional and renewables). He speaks English and French and has worked on projects located in Canada, USA, Europe and Africa. For Plan A Capital, David provides transactional and financial advisory services to various clients involved in the infrastructure and power asset classes. More specifically, he manages and participates in the following: evaluating the financial feasibility of projects, developing robust and flexible financial models, performing due diligence and negotiating/raising equity and limited recourse financing. David played a key role in the 230 MW Niagara Region Wind Farm project by designing and operating a financial model used for raising $825M of non-recourse financing. 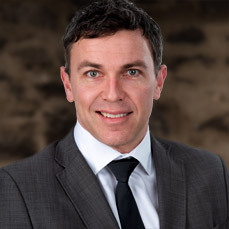 Prior to the establishment of Plan A Capital in 2014, David was Director, Investment for a Canadian developer of renewable projects from 2010 to 2014 where he held key responsibilities including the development of all financial models, supporting negotiations of key contracts, securing equity and nonrecourse financing, managing lenders’ advisors and securing credit enhancements. 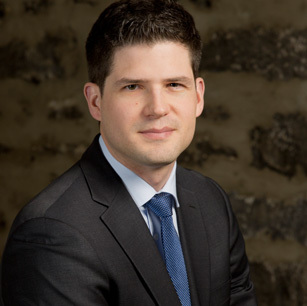 Most notably, he played a key role in the financing of the Vents du Kempt project and in the structuring, equity funding and management of a renewable investment fund, the Eolectric Club L.P. From 2007 to 2010, David held the position of Financial Analyst for SNC-Lavalin Capital where he developed several robust financial models, led the internal derivative pricing process and performed financial assessment of infrastructure, power and mining projects. At SNC, David was involved in multiple ground-breaking infrastructure projects, including the OSM Concert Hall in Montreal, the Puy-de-Dôme RackRail train in France and the MUHC Glen Campus hospital P3 complex in Montreal. 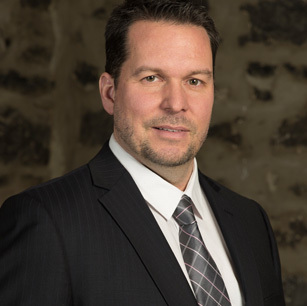 David holds a Master of Science in Administration (Finance-CPA, CGA profile) from the University of Sherbrooke and a Bachelor of Business Administration (Finance) from HEC Montreal obtained with distinction. David is a CFA charterholder and he also attended WHU – Otto Beisheim School of Management in Germany. President and founding partner of Plan A Capital, Hugo Bouchard has a twenty-two year proven track record in the structuration, development, nonrecourse financing and acquisition of major projects. He led successful investments in infrastructure and power projects worth more than four billion dollars in aggregate. He speaks English, French and Spanish and worked on projects located in Canada, the USA, Mexico, Peru, Chile and France. For Plan A Capital, Hugo has participated or managed more than two dozen mandates to support the development, acquisition or financing of infrastructure and power projects. His particular focus is on the design and implementation of innovative commercial arrangements and financial structures, including the design of an innovative lease-buyback structure and $825M financing of the 230 MW Niagara Region Wind Farm project. Prior to the establishment of Plan A Capital in 2014, Hugo was Chief Investment Officer and General Manager for a Canadian developer of renewable energy projects. He initiated out of his own initiative the creation of an investment fund, the Eolectric Club LP, raised its funding and acted as Key Person for the fund’s manager. He was responsible for the fund’s investments, including the acquisition of one project that was not in the market, and managing all aspects of the development, design, financing, execution and operations of Vents du Kempt Wind Power LP. 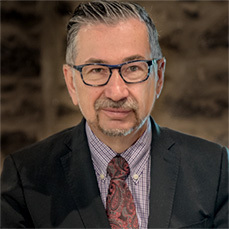 Previously, Hugo was Vice-President, Investment for SNC-Lavalin where he managed a portfolio of direct investments in infrastructure and was responsible to structure, finance and execute new investments, including a successful health centre concession which secured the PFI Award of the year for North America. From 1994 to 2006, Hugo held the position of Director, Project Development for Innergex and various positions in Mexican and Canadian subsidiaries of Gaz de France. 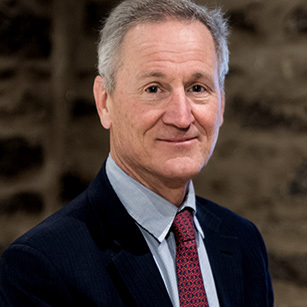 In addition to his CFA designation, Hugo holds a Master in International Relations in economics, law and political sciences from Laval University. He has also held several board of directors’ positions in Canada and in Mexico. Daniel is an experienced investment professional with a professional track record of more than eight years in project finance, credit analysis and M&A in the infrastructure and power sectors. He speaks English, Spanish, Portuguese and French and worked on projects located in Canada, Brazil, Colombia and Chile. As Director of Financial Analysis for Plan A Capital, Daniel provides transactional and financial advisory services to various clients in the infrastructure and power sectors. Previously, Daniel was M&A Specialist for Itausa Investimientos from 2014 to 2016, where he elaborated financial valuation tools for equity investments and M&A transactions, including a US$200M investment in a gas pipeline project. 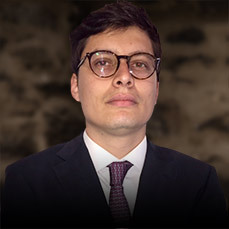 From 2010 to 2014, he held the positions of M&A Analyst and Project Finance Analyst for Alupar Investimento S.A where he prospected, evaluated and supported M&A transactions, and participated to bid processes for generation and transmission assets, including winning bids for a 200MW wind power project and a 700-km transmission line. He also played a key role in the issuance of bonds for a 250MW hydro power plant. From 2008 to 2010, he held the position of Credit Rating Analyst at S&P Global Ratings where he covered a portfolio of infrastructure & power companies in Brazil including electric generation, transmission, and distribution companies, water utilities, ports, toll roads and project finance transactions. He participated in the issuance of local and international debt instruments, including as main credit rating analyst, the first non-recourse project finance local facility for a Brazilian toll road in the amount of US$500M. Daniel completed a graduate degree in Finance at EDHEC Business School in Nice, France as well as a Master in Economics at Université de Montréal, Canada. Daniel is also a CFA Charterholder. Marc Boillot is based in Paris and is a member of the Advisory Board of Plan A Capital. Marc has spent most of his career in senior positions within EDF and affiliated entities, including Executive Vice President, Strategy, Project Development and International at ERDF. He recently published a book on smart grids titled "Advanced Smart Grids for Distribution System Operators". Marc started his career at EDF R&D and his functions led him to Washington DC and Montreal, where he was responsible for natural gas and cogeneration projects. In 2000, he was appointed Head of the Clermont Ferrand distribution area, and in 2003, as Regional Director of EDF Commerce Lyon, he participated to the opening of the electricity and gas markets. Thereafter Marc joined the strategy division of EDF Group where his responsibility covered international gas and renewable projects. Finally, he was named Senior Vice President for Regional Action, with the responsibility to reinforce the relations between nuclear power plants and local communities in France. Marc holds a MBA from McGill University and is an engineer trained at École Nationale Supérieure de l’Énergie, l’Eau et l’Environnement of Grenoble INP. 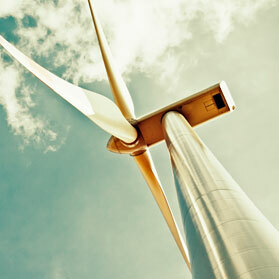 Negotiation and management of material contracts to build and operate a large wind farm project. Denis, an affiliate of Plan A Capital, provides advisory and execution services in infrastructure & power, including strategic analysis, development, assessment of rates and tariffs, due diligence, regulatory issues, contract management and negotiations with suppliers and other stakeholders. Denis holds both a Bachelor and a graduate degree in Economics. 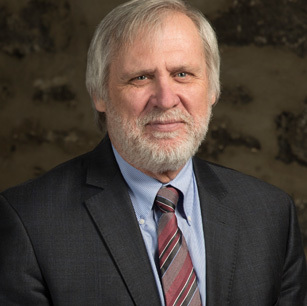 Normand Bouchard is a seasoned manager with more than 35 years of experience in electricity generation from renewable and natural gas sources. Normand’s recognised expertise lies in the development, design and construction of wind farms and thermal plants. He is an affiliate of Plan A Capital and currently provides advisory and execution services to support the company’s clients in the development, the execution and the operation of their projects. In recent years, Normand played a key role in the development, design, construction and operation of six wind farms totalling 700 MW (Vents du Kempt, Baie-des-Sables, Gros-Morne, Montagne-Sèche, l’Anse-à-Valleau and Carleton). He was also responsible for all technical aspects, contract negotiation and monitoring of the construction, commissioning and operation of the 25 MW Gazmont thermal power plant and the 175 MW Champion Project. Normand is based in Montreal. 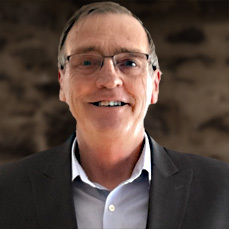 Louis Auger is an experienced logistician, consultant and project manager cumulating over 35 years of experience, including 15 years in renewable energy. Louis demonstrated a high level of skills and know-how when leading the development of more than 1,000 megawatts of wind power projects in Quebec, Ontario and Alberta, many of which are now in operations. Louis also conducted independent engineer reviews for the acquisition or financing of numerous greenfield and operating solar and wind facilities in Canada, the USA and internationally, more recently for Hatch. Louis has also been involved in commercial negotiations for numerous large scale contracts in different industries. 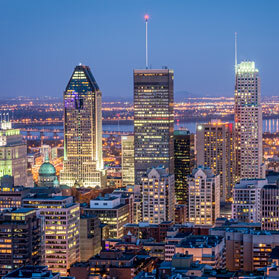 As an affiliate of Plan A Capital, Louis provides advice, development support and due diligence support for various projects from the Montreal area where he is based. Morgan is a corporate and project finance professional with a proven track record, having raised over US$400M in equity and non-recourse project financing, and overseeing and optimizing over 400 MW of renewable energy assets. He has assisted with the structuring and oversight of more than US$600M of synthetic power purchase agreements and financial derivatives. He has also participated in corporate restructurings and served as the technical lead in litigation disputes of US$400M and US$500M. He is fluent in both English and Spanish and has worked on projects located in the USA, Canada and South Africa. As an affiliate of Plan A Capital, Morgan provides financial advisory, development support and due diligence support for various projects from Buenos Aires where he is based. Affiliate, Renewable Energy and Storage, Lawrence Murphy has 15 years of progressive experience in the assessment, development, engineering, management, construction and operations of renewable energy projects and enabling technologies, including energy storage. Lawrence has a proven ability to provide high value insight and strategic advice to projects. His expertise is rooted in experience acting in central roles through the entire project execution life cycle. Lawrence has held significant design engineer, project engineer, engineering manager, project manager, construction quality, development consultant and operational optimization consultant positions for constructed projects throughout North America and further abroad. He has demonstrated his ability to provide technical and contractual solutions to maximize project returns in the development, engineering, construction and operational phases of projects. He has leveraged his comprehensive project implementation experience in leading independent/lender’s engineer mandates for multiple projects. A desire to be involved in innovative clean energy solutions has driven Lawrence to pursue improved returns on operating assets for clients through the assessment of innovative project operating structures and energy storage solutions. A Professional Engineer with a speciality in electrical engineering, Lawrence is currently licensed in Alberta and Nova Scotia and sits on the Sustainability Committee for Engineers Nova Scotia. His unique blend of technical and management expertise makes him ideally suited to support Plan A’s value-added service offering. Loreto Beiger is based in Montreal and has over 12 years of experience in project management and business development in Canada, Mexico, Central America and South America. 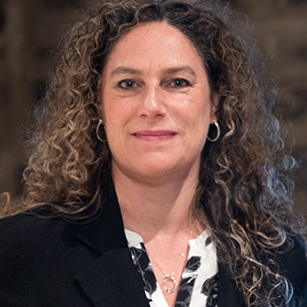 She has provided advisory and project management services to numerous Canadian companies in a variety of sectors including: telecommunications, banking, pulp and paper, mining services, agriculture, environment, forestry, manufacturing, pharmaceutical and food-production. Most recently Loreto has worked in the organizational project management field specifically in strategic planning, project portfolio management and the implementation of governance models. Loreto holds a Master in Project Management from the Université du Québec à Montréal as well as a Bachelor in Journalism and Western Society and Culture from Concordia University. She has extensive experience working in multi-lingual and multi-cultural settings and resided numerous years in Mexico City and Santiago. 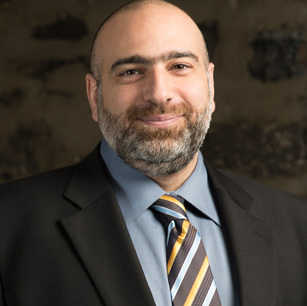 Habib Hajjar is a seasoned industrial construction economist with more than 19 years of experience in project controls as well as cost and procurement estimation for various types of projects in North America and in other continents. Habib’s core expertise applies to the conception, prefeasibility, feasibility and construction stages of EPC and EPCM projects. During these phases, Habib develops and uses different estimation and control systems to generate estimates and to generate CAPEX reports based on documented and relevant sources. As founding President of Minestone, Habib is an affiliate of Plan A Capital. Marc Boillot is based in Paris and is a member of the Advisory Committee of Plan A Capital. Marc has spent most of his career in senior positions within EDF and affiliated entities, including Executive Vice President, Strategy, Project Development and International at ERDF. He recently published a book on smart grids titled "Advanced Smart Grids for Distribution System Operators". 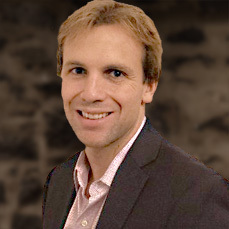 Ludovic Dumas is based in Montréal and is a member of the Advisory Committee of Plan A Capital. He is also Director, Direct Investments at a leading Canadian single family office. He is responsible for sourcing and evaluating potential investment opportunities, overseeing due diligence, and portfolio monitoring. Direct equity participations currently include holdings in technology, food, entertainment, renewable energy, and real estate, among others. 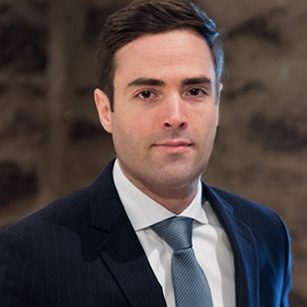 Prior to joining the family office, Ludovic worked in the investment banking department of CIBC where he provided financial and strategic advice to businesses and was involved in a broad range of transactions, including mergers, acquisitions, corporate sales and divestitures, and financings. Ludovic previously worked at Deloitte Consulting where he completed a wide range of management consulting mandates. He started his career in the investment banking department of ING Group in Frankfurt.